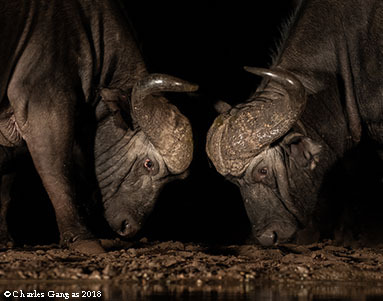 Photo Tour: This tour visits Zimanga Game Reserve, a photo reserve that has specialty blinds for bird and mammal photography where many award winning photos have been taken. It also encompasses the Garden Route of South Africa from Port Elizabeth to Cape Town. On this tour we should have excellent photo opportunities with Elephant, Lion, Buffalo, Hippo, Meerkats, several species of Antelope and a host of bird species including Knysna Turaco, Blue Crane, Malachite and Pied Kingfishers and several species of stunning sunbirds. 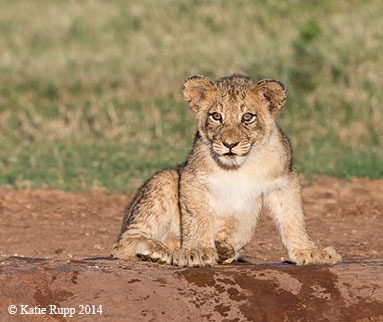 Wild Dogs, Cheetahs and Leopards are all possible as well. We start out in Johannesburg, fly to Durban, spend 4 nights at Zimanga, then fly to Port Elizabeth and work our way back from there to Cape Town over the course of a week. The accommodations are comfortable, the food is very nice, the scenery beautiful and the photo opportunities should be spectacular. Tour leader: Charles Gangas, Chuck co-led our 2018 South Africa tour with Nate Chappell. He is an award winning photographer from Stowe, Vermont. This is the 5th tour that Trogon Photo Tours has led to South Africa. 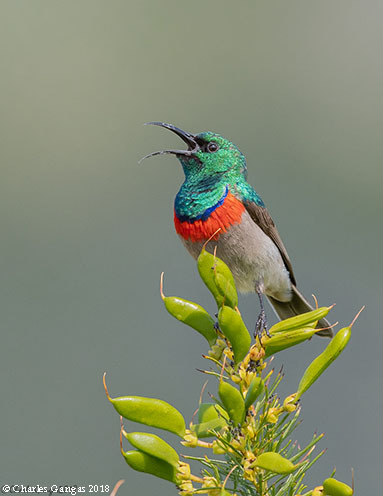 We will also be working with an excellent local birder and guide on the Port Elizabeth to Cape Town section and we will have our own guide at Zimanga as well. Maximum participants: 6 photographers plus nonphotographer spouses/companions. Cost: $7,950 per person sharing includes all accommodation, meals, transportation within South Africa including in country flights, drinking water, guiding and park fees. It does not include airfare to and from Cape Town, South Africa from your home, tips or personal expenses such as beverages, laundry service, departure fees and phone calls. Single supplement $1,000. $800 Nonphotographer spouse/companion discount. Deposit to reserve your spot is $1,900. October 6th - Arrive to Johannesburg, South Africa. There are a number of birds in the garden at our lodge including Pied Barbet and African Olive Pigeon. If you wish to arrive a day early there are day trips around the Johannesburg area we can schedule for you. Accommodation: Outlook Lodge, Johanesburg. 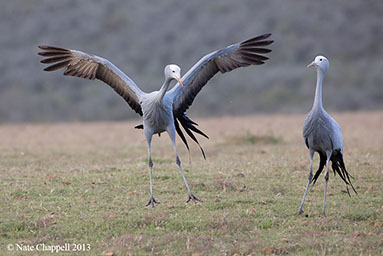 October 12th - Morning bird photography on the grounds at Rain Game Lodge followed by ﻿flight to Port Elizabeth. 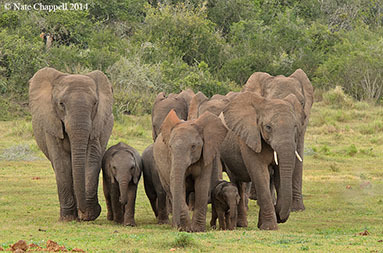 We will be picked up by our guide and transferred to Addo Elephant National Park where we will have an afternoon game drive. 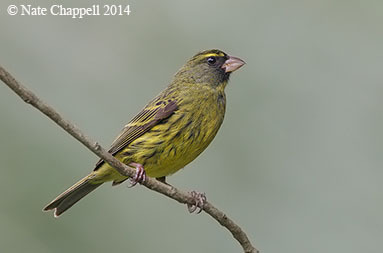 For Cape Town and the Garden Route this is the breeding season for birds so they are active and singing. Accommodation: Chalets, Addo Main Camp. October 14th - We will spend most of the day photographing in Addo Park then in the afternoon we will transfer to Wilderness, South Africa. Our lodge in Wilderness has feeders which attract Knysna Turaco, Forest Canaries, Chorister Robins and lots of other nice birds. 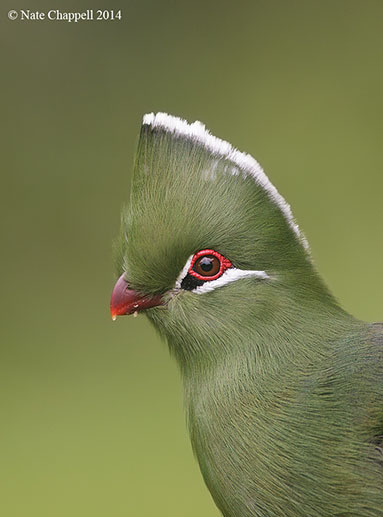 ﻿It's amazing being up close with these beautiful turacos.﻿ Accommodation: Lodge in Wilderness. October 15th - In addition to photographing in the garden there are local hides which are very good for photography of Pied and Malachite Kingfishers as well as African Rail. In the afternoon we will transfer to Oudtshoorn for our accommodation. October 16th - This morning we will be treated to photographing a Meerkat colony, these animals are habituated to humans and spend the first hour of the morning warming up by their dens. 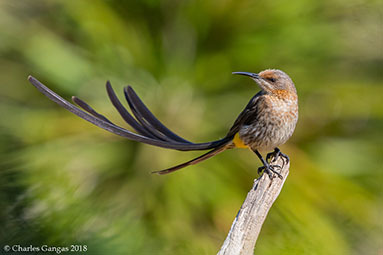 After that we will spend some time photographing the weavers, whydahs and other birds at our lodge before transferring to our next lodge in the Overberg. Accommodation: A comfortable local lodge. October 18th - We will photograph at our lodge before heading to Cape Town. 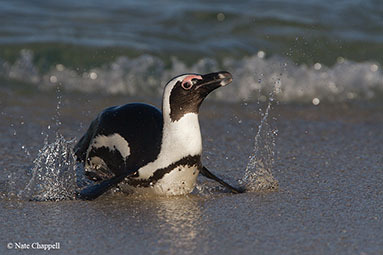 We will spend this afternoon visiting the African Penguin colony in Simonstown. Accommodation: Quayside Hotel, Simonstown. 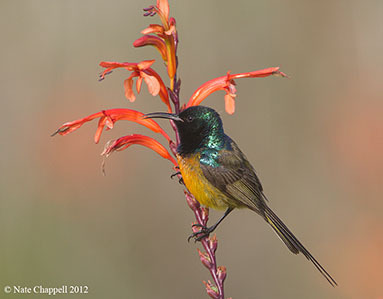 October 19th - This morning we will visit Kirstenbosch Botanical Gardens which is a great location to photograph the endemic Orange-breasted Sunbird as well as a wide variety of other species. In the afternoon we will visit the Cape of Good Hope Nature Reserve with endemic Bontebok antelope and a variety of shore and land birds. Accommodation: Quayside Hotel, Simonstown. ﻿October 20th - Morning transfer to airport for your return trip home.